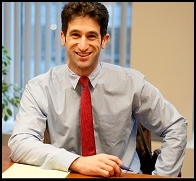 Attorney Jeff Goldman is a Northwest native with years of experience in immigration and criminal defense. He is an experienced trial attorney who has taken countless cases to the jury. He is also an experienced immigration attorney for filings and litigation involving the United States Citizenship and Immigration Services (USCIS), Customs and Border Protection (CPB), and Immigration Court (EOIR). In his years of practice, he has obtained successful outcomes for hundreds of clients whether it be bringing family members to the United States, fighting deportation, or criminal charges. Jeff attended the University of Washington in Seattle, Washington, where he received a Bachelor of Arts Degree in Philosophy. He then applied for law school and was awarded a scholarship to the prestigious Pepperdine University School of Law in Los Angeles, California. While attending law school, Jeff was a member of the Journal of the National Association of Administrative Law Judiciary (NAALJ), and interned in the prosecutor’s offices in Los Angeles, Brooklyn and Seattle. Throughout his work for the NAALJ publication, and his internships with prominent prosecuting attorneys, Jeff obtained invaluable training and experience which has been of great benefit to his clients involved in immigration and criminal matters. After graduating from law school, Jeff returned to the Northwest and began his career with various government agencies in King and Pierce Counties. He then became an Associate Attorney at the Wickens Law Group where he was able to maintain his government contracts and also diversify his practice with matters in the private sector. When he is not working, Jeff is an avid outdoors-man who enjoys bicycling, water skiing and snow skiing. Additionally, Jeff devotes time to civic organizations benefiting residents of the local community including Jewish Family Services, Cardozo Law Society, and the Northwest Immigrants Rights Project. Bar Membership: He is admitted to the New York State Bar, Washington State Bar, and the Ninth Circuit Court of Appeals. Law Office Locations: Jeff has offices in both Tacoma and Seattle located within minutes from the Northwest Detention Center and the Seattle Immigration Court.